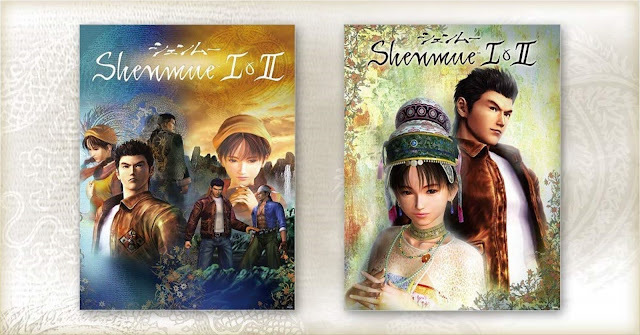 The Shenmue I & II release date in Japan has been announced - together with a special edition! 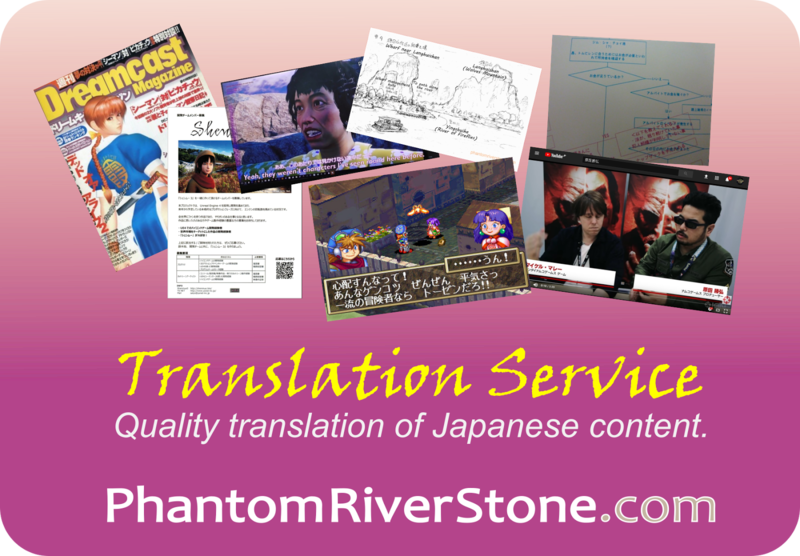 Phantom River Stone summarizes the key information. What a fitting announcement for Shenmue Day (on the 3rd of every month) - SEGA knows Shenmue fans will be paying close attention. 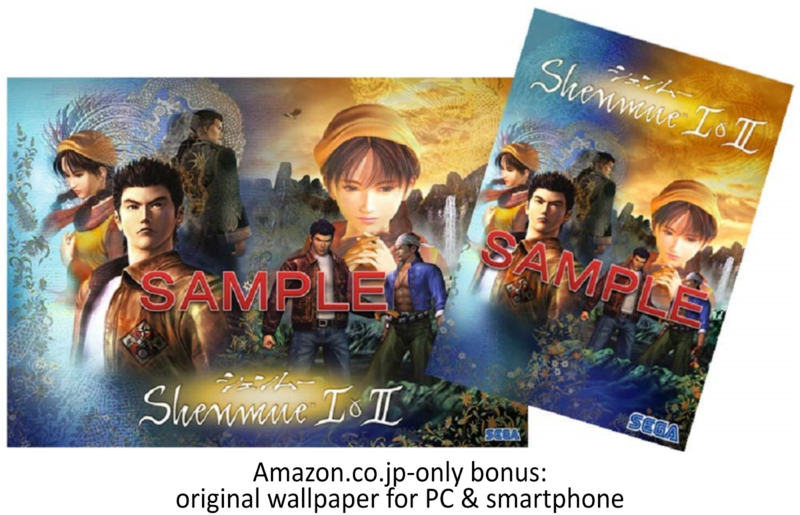 The release date for Shenmue I & II in Japan for the PS4 has been announced today on SEGA Japan's Shenmue I & II website as Thursday 22nd November, and together with this they have announced a special Limited Edition! Read on for details. We've translated the track names below, trying to stay as close to the original meaning as possible. There may be slight variations compared with existing online translations (for example: "A Predestined Encounter" can be found occasionally as "Encounter with Destiny"). Not only that, a two-sided poster will come with the physical versions (Standard and Limited Editions). The poster size is 295 mm x 385 mm. The price for the Standard edition will be 3,990 yen + tax (= 4,309 yen), and for the Limited Edition 5,990 yen + tax (= 6,469 yen). Note: YouTuber Adam Koralik has revealed that the Limited Edition is a Japan exclusive (tweet source). Amazon Japan has listings up for the Standard and Limited Editions, priced the same in physical or digital format, for the PS4, with pre-orders open. Any subsequent price drops will be honored. We have received confirmation from @Jcgamer60 that pre-ordering on Amazon Jp from overseas (with international shipping) is supported. Thank you @Jcgamer60 for the information! Steps to pre-order on Amazon Japan (note, Amazon has set a limit of 2 per customer). Change to an English UI on Amazon JP using this link: Shop In English. Create a new account with Amazon Japan if you do not already have one. 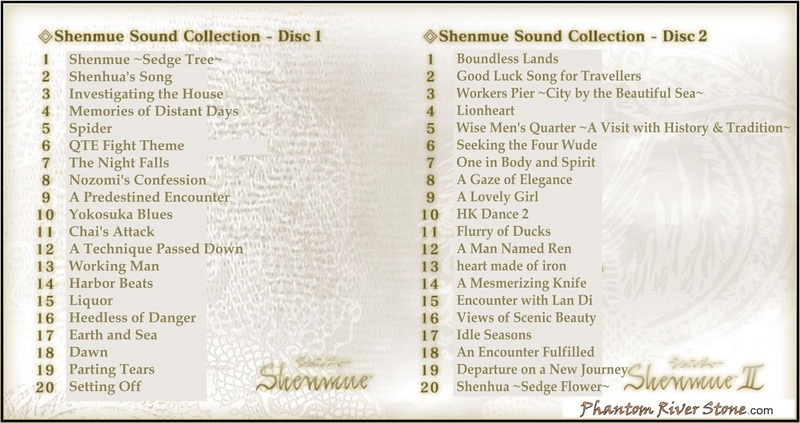 The Shenmue I & II Collections are now available on PlayAsia.com. In Japan, they are also now being advertised at other sellers such as Yodobashi Camera. The price of the Limited Edition there, for example, is a slightly lower 5,820 yen (including tax). Plus you get the usual 10% points back on the purchase, so it looks like there will be various options for people living in Japan. Electronic chain Yodobashi Camera has the Limited Edition listed for 5,820 yen. A new trailer has been released on the Japan site, with a mention of the Limited Edition at the end. Awesome! Yes, looks fine & includes the digital wallpaper download from Amazon. Excellent, the packaging is a thing of beauty, and I'm really glad they are giving the soundtrack the attention it deserves. Hey Switch, do you know how limited is the LE? Will they stop selling after a while? Thanks for the info, this looks awesome! 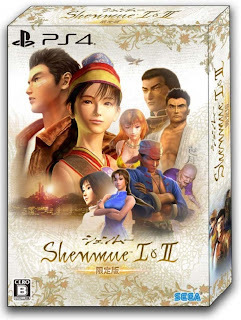 Hopefully I can see it's available elsewhere too cause as much as I love Shenmue I was not going to buy from Amazon - they're horrible unethical and I wish more people would support other retailers instead. Thanks dst. Yes, there are other options other than Amazon Jp. Switch, legend for the soundtrack translations! Sooooo excited for this box set :) will have played through 1 & 2 many times from August 21st and then when this is released will be excited again haha! 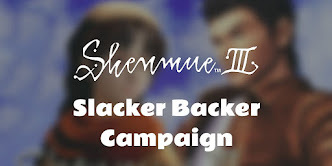 Let the Shenmue hype maintain momentum through to 2019 and Shenmue III! Thanks for your feedback on the soundtrack translations! Ah... so no Waves of Morning Haze on here? That's an amazing tune, it really builds up to an epic feeling. More CDs are needed! I wonder if Yu Suzuki himself had a hand in the selection for this collection. 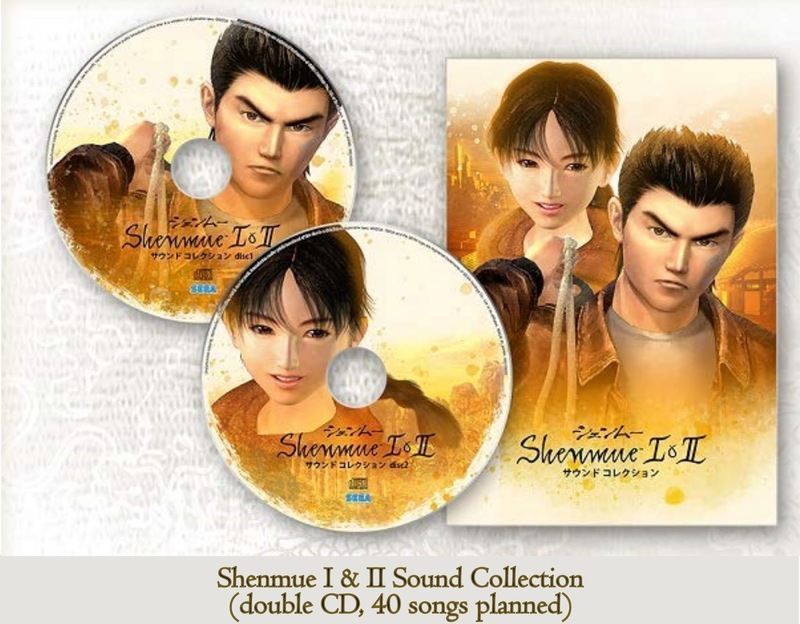 Do you know if this limited edition will include other languages than Japanese? 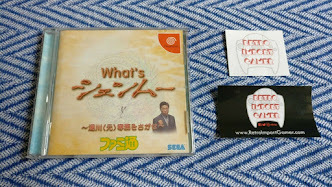 At this point there hasn't been any official confirmation from SEGA on language options / support for the Japanese version. Can someone confirm if the game will have different subtitle besides Japanese ? At the moment I don't think there has been official word on the language options & subtitles for the Japanese versions. I expect this information will be added to the official Japan website (https://shenmue1-2.sega.jp/index.html) in the future. by the way.. NO ENGLISH sub or DUB. 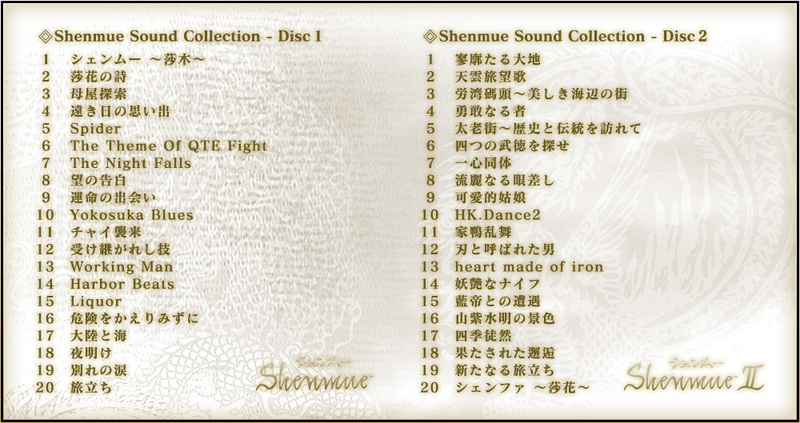 The game file system is the same as the NTSC-U but they removed the english sub/dub making it only 8GB. Thanks for the information. The reason behind the decision to drop other language options for the Japan release hasn't been officially explained at this point, as far as I know.